Master Base - the new, updated version of an old tweak. Master Base is a hard, 1cm thick plate that is placed under loudspeakers, amplifiers and cd players to allow hifi equipment to 'float'. The advantage of a 'floating' system is that any possible vibrations emanating from separate hifi components are not passed on to the surrounding environment, i.e. floor, table etc. In turn unwanted colouring, caused by the vibrations that are the result of contact between hifi racks/equipment/floor, are eliminated. 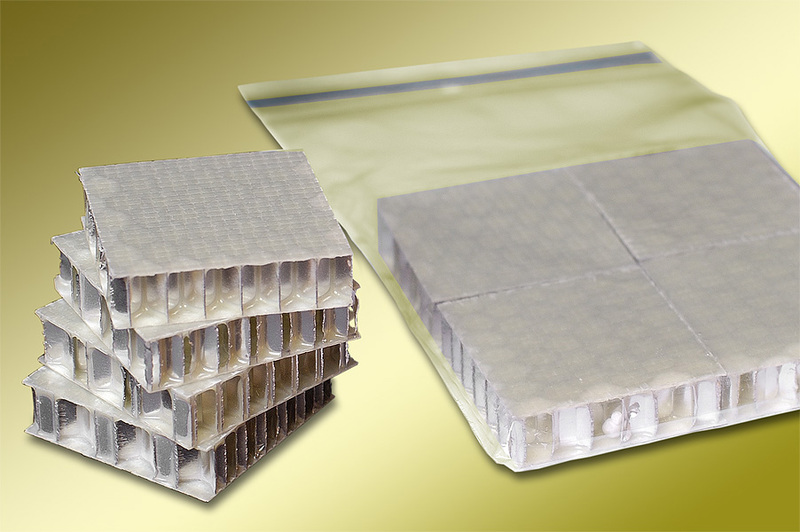 Master Base is a honeycomb structure made up of aluminium cells. The cells are sandwiched between a studded top and bottom epoxy and Kevlar layer. The top layer acts as a sort of membrane. The studded profile magnifies the surface and the honeycomb hinders the transmission and reflections caused by the vibrations. The ability of the Master Base to uncouple your hifi equipment from surrounding influences allowing it to float, is greater than that of other systems. The Master Base is effective over a large frequency range (roughly 20Hz to 15 kHz). Master Base comes in two versions; the MBase and the Mbase/1 (46,- euros). 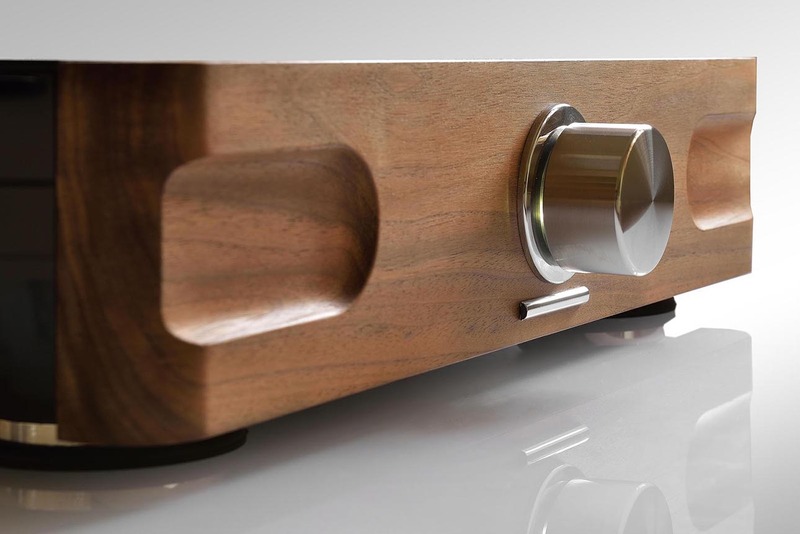 The MBase is a set of two plates that are custom-made for your loudspeakers (max. size 0,25m2 for each plate) and priced according to size info@dynamic-solutions.nl. The Mbase/1 is a set of 4 small plates each measuring 4 x 4 cm (for use under cd players and amplifiers). . 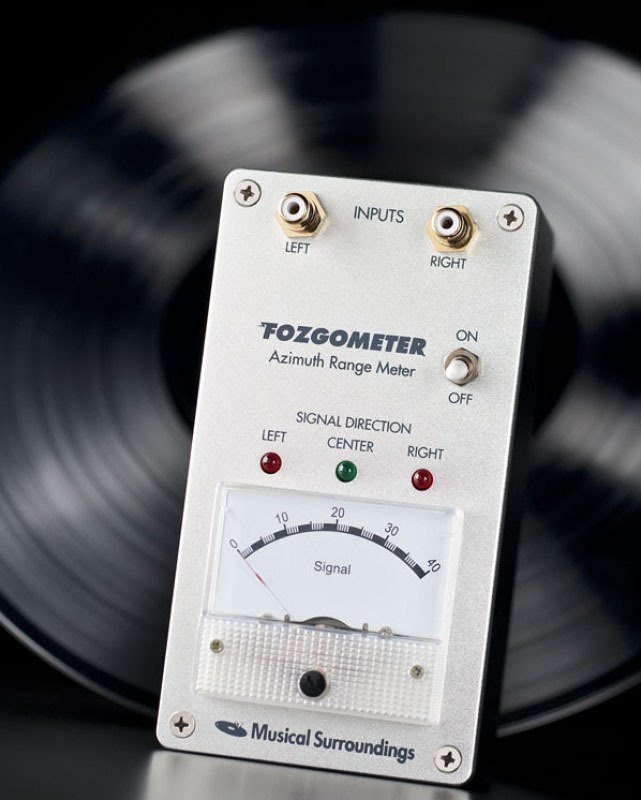 If you own and use a Fozgometer to set azimuth you must calibrate the unit or your results will not be accurate. I had stopped using my Fozgometer and instead was setting azimuth using a digital oscilloscope, which is 100% accurate and also gives you precise crosstalk voltages. I switched because the Fozgometer's results were not at all accurate and until just the other day I did know know there's a way to calibrate the Fozgometer. 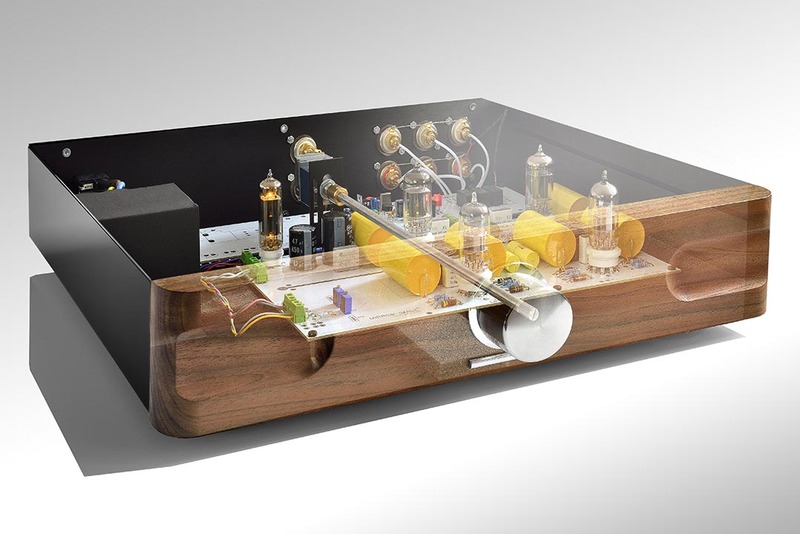 So, the best preamplifier in the world? This mainly and largely depends on what you are looking for in terms of presentation and perception. In each of the individual parameters of the Aemulus there are absolutely alternatives that go further in the subareas. Even more transparency, more speed, tighter, bigger and so on. But as with the Master speakers, the strength of this design lies particularly in bringing together all the musically significant parameters, in a truly harmonious manner. One can not exist without the other and additionally it is also realized in cooperation with virtually every good power amplifier ever made! All I can say now is that it is truly useful to experience this level at your dealer or manufacturer and distributor Dynamic Solutions. In this case, hearing is believing and I'm sure that you'll think back to this story when you are there in a listening chair, enjoying enormously. for more information you can call of mail us. 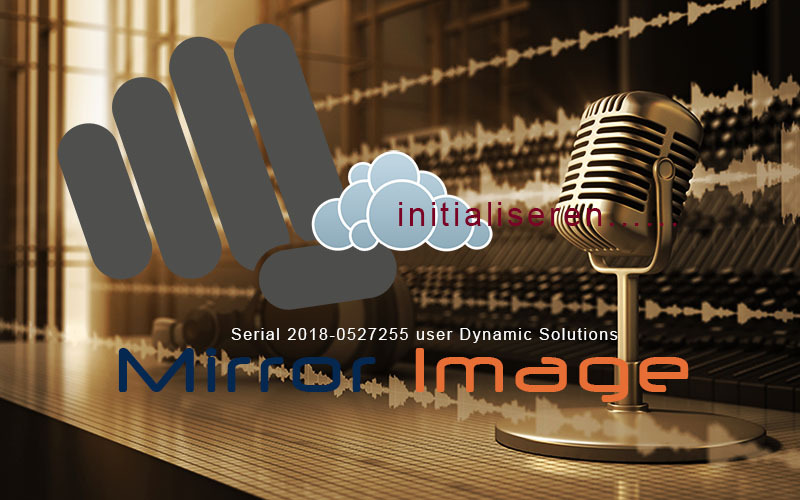 Mirror Image will soon introduce an digital music player let you hear a perfect replica of high resolution studio masters with incredible detail and breathtaking realism. Unlike other digital music players, our sole purpose is to play your music with the greatest possible fidelity without the burden of deep computer knowledge. The new Mirror Image streamer get ultra-high resolution by connecting internet. Connect an external USB drive containing your music library, stream your favorite internet radio stations, and enjoy lossless TIDAL and Quobus streaming. Theres a question that hangs around all kinds of branches of consumer electronics like a bad smell in a camper van "Yes, but whats the best?" Its a nebulous question when you think it through, because it comes without qualification. An Aston Martin might be the best car ever made for posing round the Côte d´Azur, but its almost pointless when taking the wife and kids out for a long weekend. A glass of Château Pètrus isnt going to make the grade when its Château dYquem time. So, whats the best? It depends! 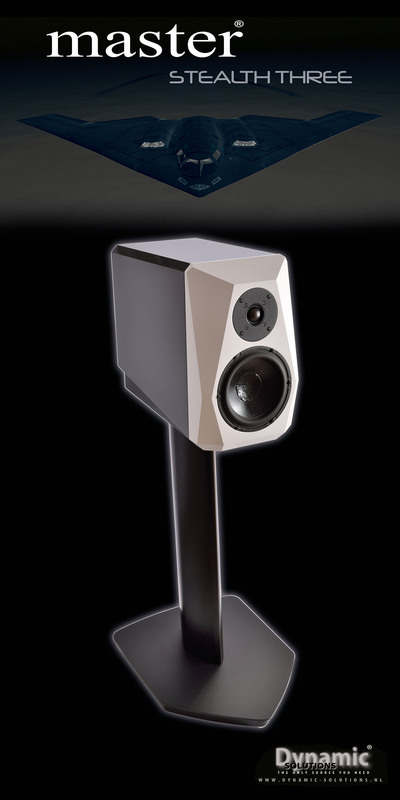 However, when it comes to standmount loudspeakers, the Master Stealth Three makes a strong case for being the best. You just have to think best in everything it touches to make it so. First, to get the best from the best, you need the best in amplification. The Master Stealth Three is a power hog. The 89dB sensitivity and nominal impedance of eight ohms is deceptive, as is Dynamic Solutions claim that amplifiers between 50-250W fit the bill. The reality is you are going to need an amplifier at the top end of that scale as an entry point. The amp doesnt need to be disturbingly expensive, but it does need to deliver a lot of power well.